The best recipes are the ones that are shared. And if they’ve been shared a lot, you know they’re good. 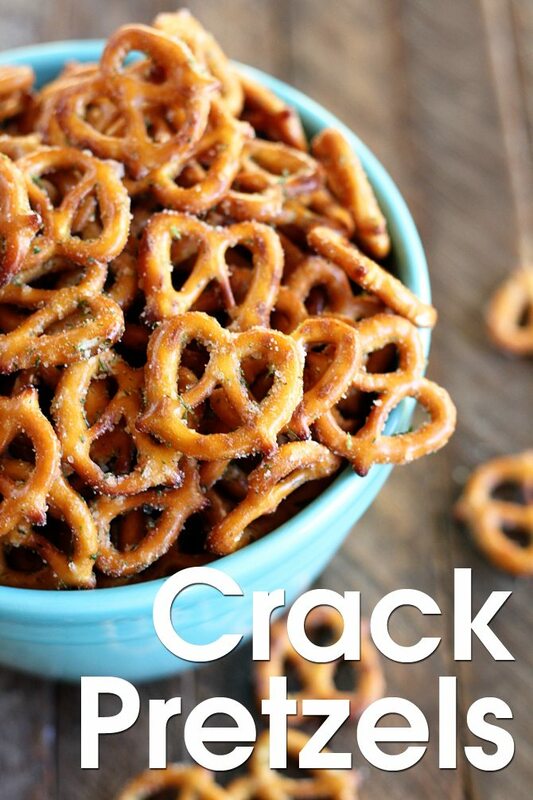 Such is the case with these Crack Pretzels. Heather came home from work one day with a recipe for seasoned pretzels that she “just had to make” for me. She’d been talking about these things for weeks. Apparently her friend Aimee was pretty well known for these babies at the hospital. So when she shared the recipe with Heather, she stopped by the store on her way home to grab the ingredients that very day. For good reason. These things are ridiculous. 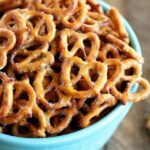 There are TONS of recipes for seasoned pretzels out there – despite the fact that I hadn’t even ever heard of them. The prep methods vary too. But this one is cheap, easy, and incredibly delicious. So I just knew I had to share it with y’all… and Aimee graciously obliged. These are a great snack, a delicious appetizer, and are a GREAT gift to share with your neighbors. 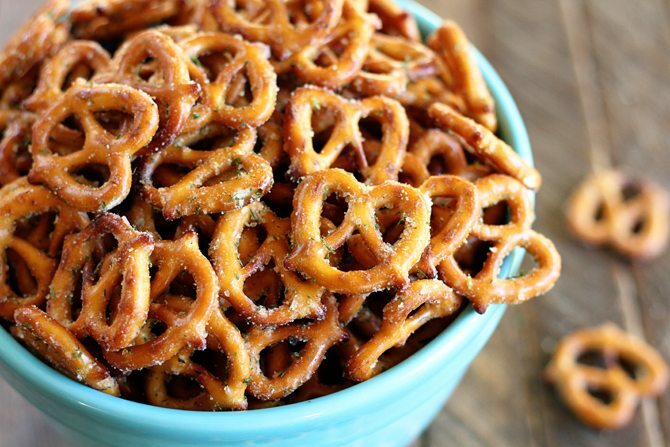 Pour the pretzels into a gallon-size zip top bag. In a small bowl stir together the oil, garlic salt, dill, and ranch dressing mix. Pour the mixture over the pretzels and seal the top. Shake to cover the pretzels in the seasoning. Allow the pretzels to marinate overnight, turning the bag 3 to 4 times to get everything coated. mix all together in a gallon (glass preferably) jug. Let sit for about 30 minutes then turn, flip, etc every 6 to 8 hours. How long do these crackers and pretzels stay fresh if in a sealed container? 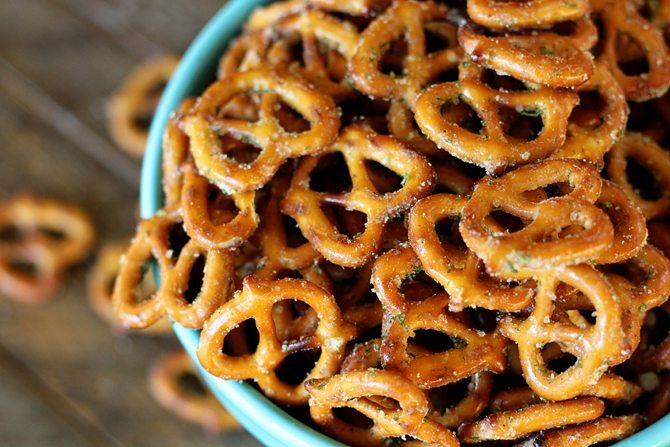 I am going to give these a try with pretzels. I have made the same recipe but it called for oyster crackers which are very good as well. Hope you’ll enjoy them like we do! I had written above about making these with oyster crackers but made Stacy’s version and they beat crackers seven ways from Sunday! LOL! So glad you enjoyed them so much!! Yes! I’ve made these with oyster crackers. Yummy! You don’t need to bake them or anything else?…. That is literally all there is to the recipe? I will have to try them as soon as I can gather the ingredients!! Nope. That’s it! Isn’t that easy!?!? Your email arrived in the nick of time! I’m having a part tomorrow night and wanted to make one more thing, and this sounds perfect! Merry Christmas! Wonderful! I know everyone will LOVE these!! 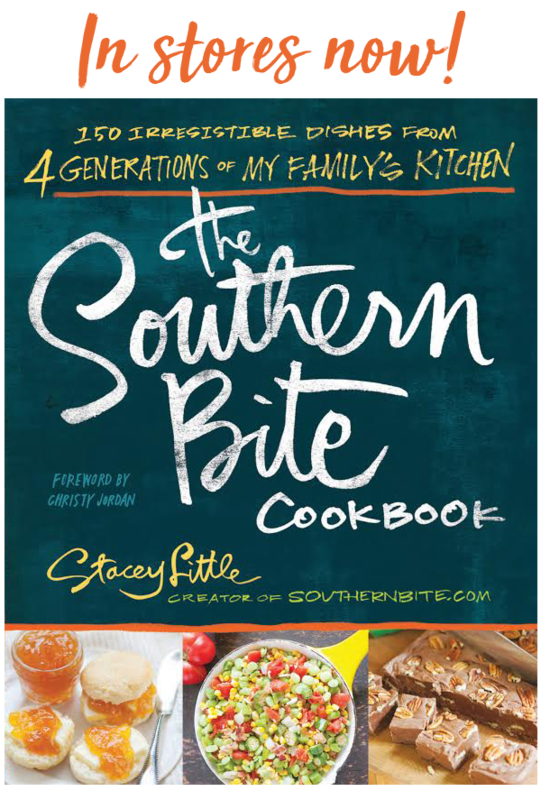 Stacey, these really sound good! I wonder if you could use olive oil instead if regular cooking oil? Yes, you sure can! It will change the flavor a bit. YUM! Those are some seriously delicious variations! Do you use unsalted pretzels? I don’t really see salt on yours and you add so much garlic salt. Nope. I use regular salted pretzels. Feel free to use unsalted if you’re concerned about the sodium content. It’s great for that! In fact, it’s exactly what our neighbors are getting this year! *Oops! Sorry to bother – I also forgot to ask about Canola Oil which I have on hand. But I think you already answered that it may change the flavor just like Olive Oil would. No worries! Yes, canola oil will work just fine. Nope. They shouldn’t be greasy at all. The bag will look greasy, but the pretzels shouldn’t be. I’d recommend just transferring them to another container or bag. Do you think butter would work instead of the oil? I don’t think butter would work very well. It’s going to solidify and not get absorbed by the pretzels. I’ve not had this complaint before. I wonder if maybe the brand of pretzels that you used had an abnormally high amount of salt on them? Eeeek! I have 7 hours to marinate before the party. Is that sufficient time? 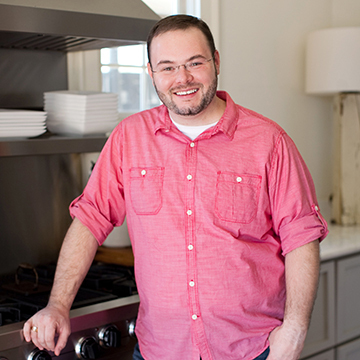 Is the dill weed fresh or dried ? Looking forward to making this. I messed up and used HV Dip not Dressing. Are they ruined? Should I just toss them in garbage now or will they be edible in 24 hours? Thanks. Taste tested them three times so far and you’re right, they’re just fine! Very tasty. I’m glad I didn’t trash them. Thank you! These are a favourite around our place. But the recipe we use calls for a teaspoon of garlic powder that keeps it from getting to salty. But definately make these. I made these exactly as your recipe called for and they were way too salty. Next time I make them I’ll either use garlic powder instead of garlic salt or I’ll buy unsalted pretzels and use garlic salt. Otherwise they were good and so easy to make. Varying salt levels in pretzels and the garlic salt can sometimes make them too salty for some tastes. I hate ranch dressing flavor. Can you please suggest a substitute as i’d love to make these. You can try an Italian dressing mix, but I’ve not tried it that way. Would these be good placed on a baking sheet and put in the oven for a short time? There are recipes that call for that, but this one eliminates that step and makes it so much easier without altering the end flavor. So these pretzel just sitting in the oil marinating doesnt make them soggy? Not a bit. 🙂 It’s crazy!